Maître Malick Coulibaly, magistrate and Malian politician, is currently President of the National Commission of Human Rights (NCHR). 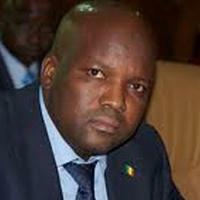 Maître Coulibaly studied at the School of Administration of Mali where he obtained a Master's degree in private law. He then studied at the French Universities of Paris X -Nanterre where he obtained a Master's degree in general private law in 1999 and Montpellier where he successively obtained a DEA (Master of Advanced Studies) in fundamental private law and a Doctorate in private law and criminal sciences in 2000 and 2003 respectively. He then taught law at Mandé Bukari University, Bamako, Mali, from October 2004 to June 2009 and at the Faculty of Legal and Political Sciences of Bamako.